Spring 2018 Registration is LIVE! NEW FOR 2018: ADULTS Weigh ins can be with your NOGI attire. You no longer have to wear your GI to wear in. (this is due to adding the absolutes at the start of the day). Kids will continue to weigh-in with their gi before the GI division, and will continue to have a weight allowance. This entry was posted in Uncategorized on April 2, 2018 by tekalpha. We are always looking to expand our referee pool in 2018! If you are a purple belt and up and would like to referee, email us to join our mentor-ship program. We will teach you the rules and how to referee. During the tournament you’ll be partnered with an experienced ref who will be at your mat with you during your matches. We will help with any issues and provide feedback after. Being a referee is a hard job, but without them we wouldn’t have a tournament. We pay all of our referees for their work! We will be back May 26 and May 27 for a two day event! We have simply outgrown a single day event. However we hope this will allow us to schedule proper absolute divisions for the adults and more round robin brackets for the kids! Save the date: May 26/27!!! This entry was posted in Uncategorized on March 15, 2018 by tekalpha. 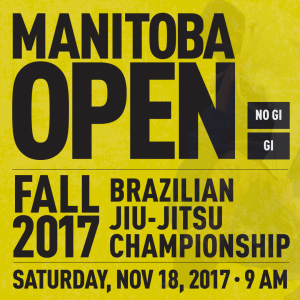 If you are planning to do both GI and NOGI, make sure you register and add both GI and NOGI the same time so that the discount can be applied. Otherwise the system will charge you for each. This entry was posted in Uncategorized on November 13, 2017 by tekalpha. We will be hosting our second rules clinic Saturday Nov 4th at 230PM. 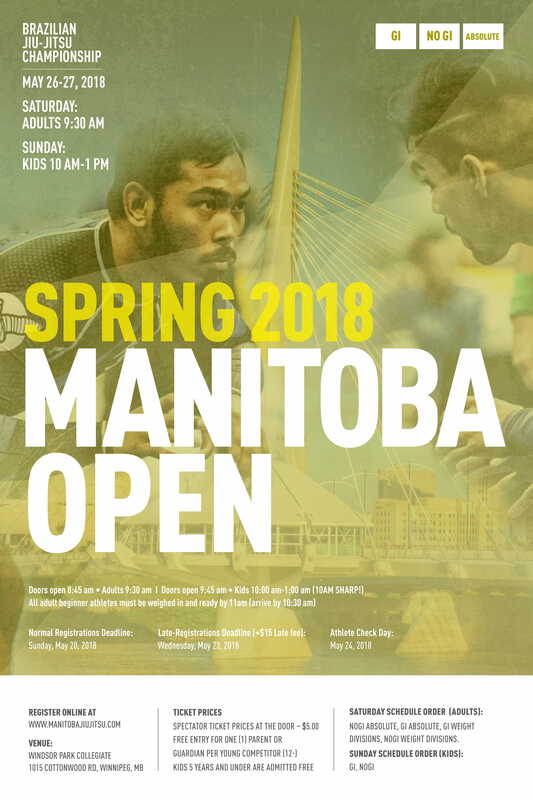 We invite all athletes, coaches, parents to come by for brief seminar of our Manitoba Open Rulebook. – Examples of various scenarios. Note: For all kids divisions 12 and under our referees will stop the match when -any- submission is locked in place. This is not a new rule, but we are re-enforcing it. We understand the desire to win at all costs, however we believe in the safety of the competitors always comes first. There is no exception to this rule. Note: New rule: Any athlete who happens to go unconscious (due to choke, etc.) will no longer be able to compete for the remainder of the event. Again, athlete safety is our number one priority. This entry was posted in Uncategorized on October 30, 2017 by tekalpha. We have updated our rules with some minor clarifications. This entry was posted in Uncategorized on October 14, 2017 by tekalpha. This entry was posted in Uncategorized on October 1, 2017 by tekalpha. 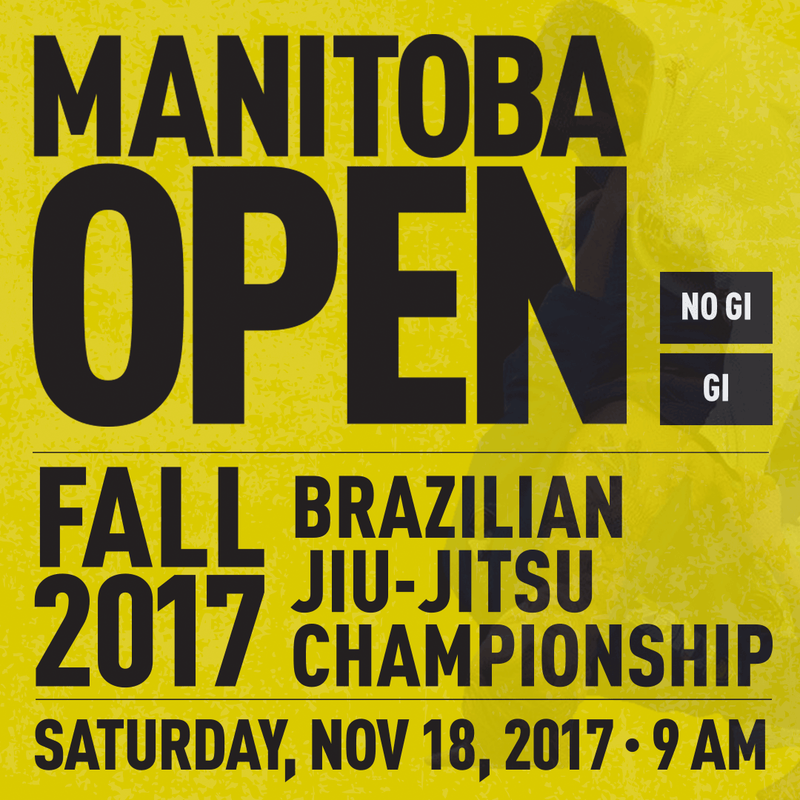 The next Manitoba Open is now scheduled for Saturday November 18, 2017! Registration will be open in the next few days. This entry was posted in Uncategorized on September 13, 2017 by tekalpha.